When I was a kid I was terrified of monsters. I also loved them. During the day I would read books and watch movies about them without an ounce of trepidation. At night, well, that was a different story. I can still remember checking my closet door to make sure it was tightly closed and checking under my bed to make sure nothing with tentacles lay beneath. Undoubtedly, many budding horror fans share my experience, which is why the featured book in this week’s edition of FRIGHTS FOR TYKES is invaluable. 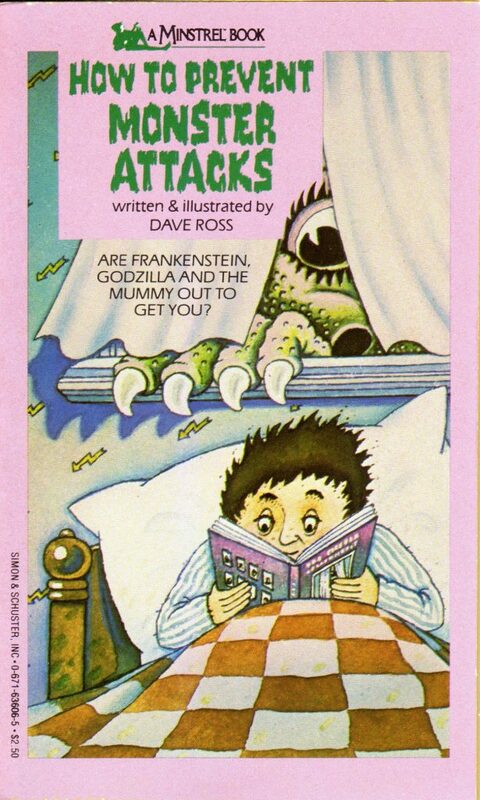 Titled HOW TO PREVENT MONSTER ATTACKS, the book is written and illustrated by Dave Ross and published by SIMON & SCHUSTER, INC. in 1986 under their A MINSTREL BOOK banner. As the title suggests, HOW TO PREVENT MONSTER ATTACKS is a cute, quick guide to preventing night time creatures from getting you. Its instructions are mostly puns and jokes and are all accompanied with quirky cartoons. Some of the advice is quite novel (like buying a 2000-watt nightlight), while others are more comical (like giving a mummy a band aid and running away while he fumbles with the cumbersome wrapper). My favourite piece of advice regards the prevention of attacks from GODZILLA: first, you to find a GODZILLA egg before it hatches and then “Get a frying pan the size of a swimming pool, buy 600 pounds of mushrooms and a half-ton of Swiss cheese.” And finally “Invite about a thousand people over for a Swiss cheese and mushroom omelet”. Admittedly this specific piece of advice might not be for everyone, but HOW TO PREVENT MONSTER ATTACKS offers many other methods of monster protection that don’t involve the consumption of said monster. I picked up HOW TO PREVENT MONSTER ATTACKS at a library sale five years ago. I have since gone back and read it to some small folk in my family and they found it quite entertaining. 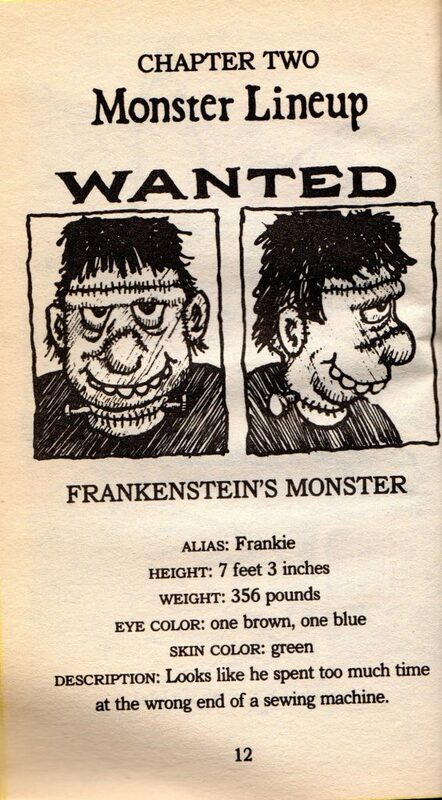 If you still check under your bed for your monsters, or know someone in your family who does, you could do far worse than buying this little book for your collection.